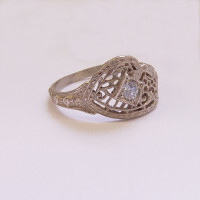 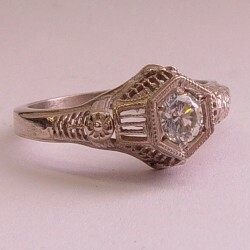 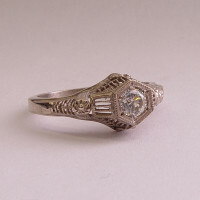 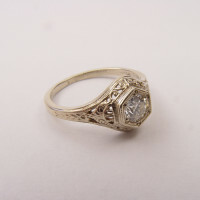 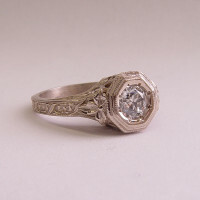 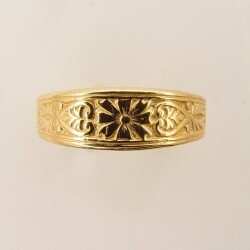 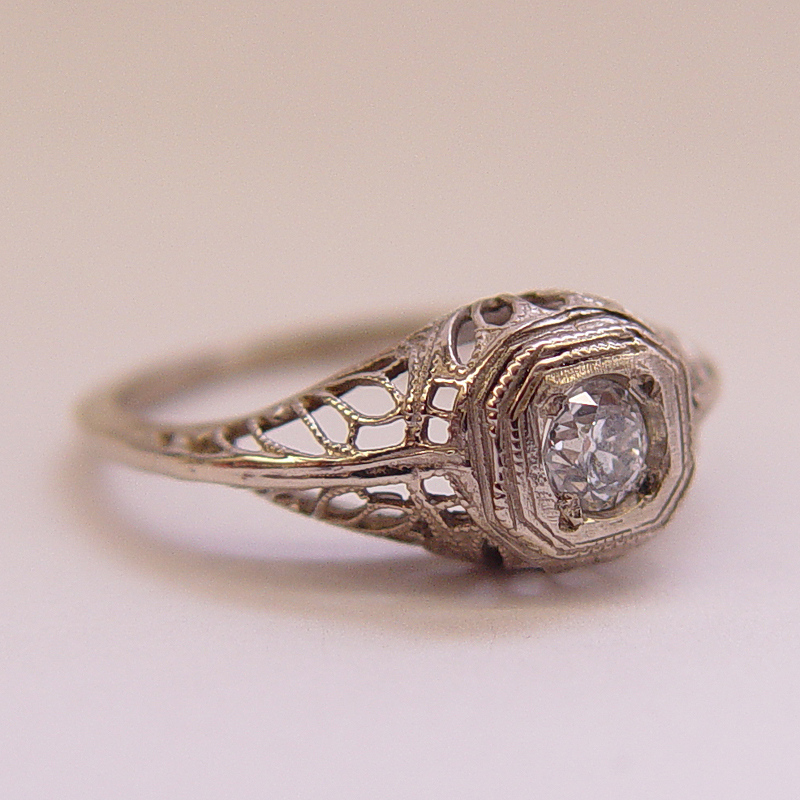 Lacey, victorian inspired, antique designed, vintage, filigree ring setting. 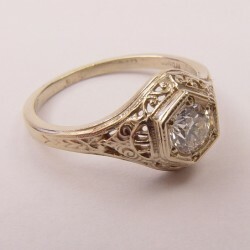 Center Stone: Diamond Shipping Time: This ring is made to order and needs at least 10 – 14 business days to ship. 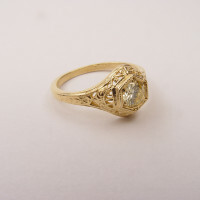 Center Stone Size: .22 cts. 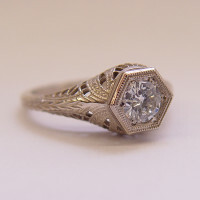 Shipping Cost: Shipping is free to the Continental U.S. International shipping is not free and you should call first before ordering. 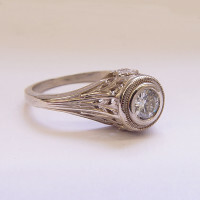 Center Stone Color: H – I Resizing (if needed) Free one time resizing if needed. 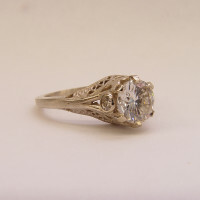 Center Stone Clarity: SI2 Sales Tax No sales tax unless ordering from the state of California. 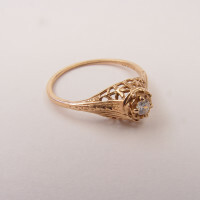 Weight of Ring: 1.5 dwt / 2.33 g Condition: This ring is made to order and will be absolutely brand new.